Any professional chef will tell you that one of the most important things you want in food is “brightness” of flavor. And lemon is the trick-of-the-trade for creating this quality. But there are a few things the pros know about lemons that you should know, too. In other words, when life hands you lemons, it’s smart to know how to use ‘em! 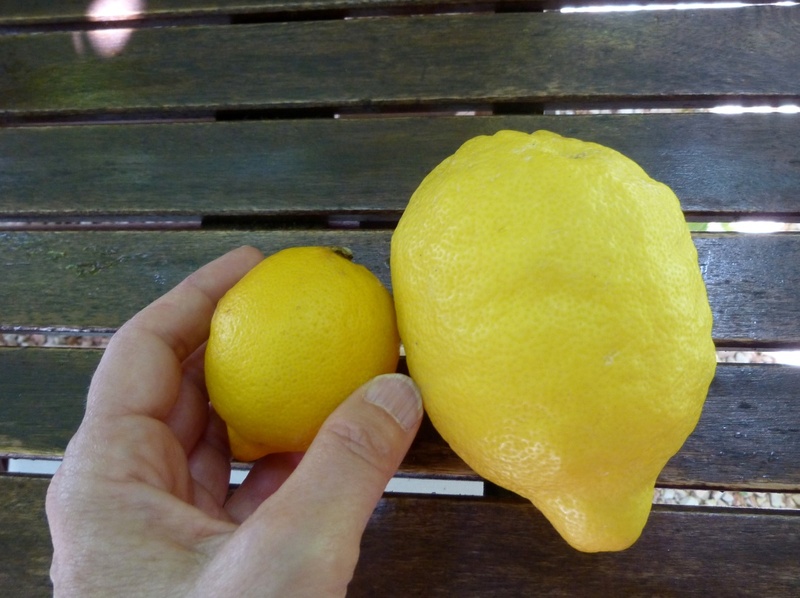 First, let’s look at lemon juice versus lemon zest. If your goal is lemon flavor, can’t you just add lemon juice? Aren’t the two interchangeable? Nope. doesn’t add any sourness and will not curdle dairy. 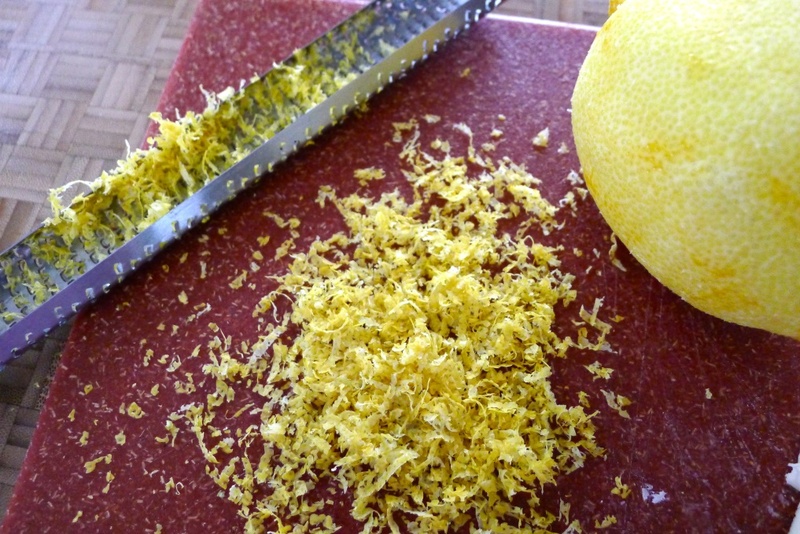 If baking a cake or cookies it's better to use lemon zest because it doesn't mess up the water-solids-ratio. And for cakes or cookies, zest is better because you want a sweet result rather than a tart end product. However, if adding a glaze to the cake or cookie, then slightly tart is the flavor you want and here you can use both zest and juice. Next, what’s the difference between lemon zest, peel, and rind? First, peel and rind are the same thing and refer to the entire skin‚ both the colorful outer portion and the bitter white pith that lies right beneath it. The white pith is bitter and unpleasant; you don’t want it included in anything you’re preparing. And technically speaking, the zest is the colorful portion of the peel or rind. This is where the fruit’s bright flavor comes from. And speaking of zest, here's a neat tip: When zesting any citrus fruit, grate the whole thing, even if you only need a small amount of zest. Then put the entirely grated fruit in a plastic baggie and back in the fridge. And place the extra grated zest in small airtight pouches made of plastic wrap and store in the freezer. The pros always have extra zest on hand—it’s their fast and fool-proof way to brighten a soup, sauce or dressing. 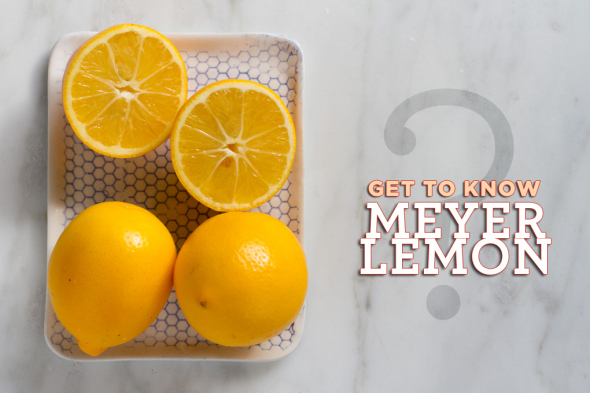 Finally, what’s the difference between Meyer lemons and regular lemons? The term regular or common lemon usually refers to Eureka or Lisbon lemons—the two most common lemon varieties found in the produce section. 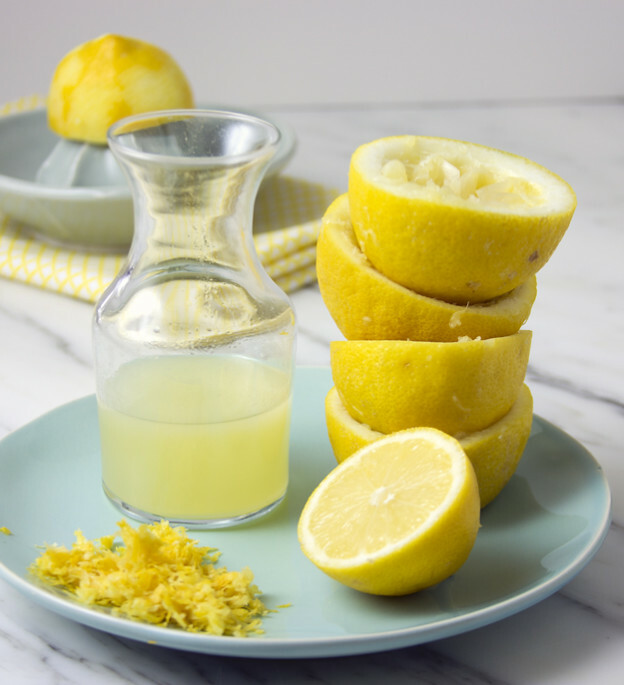 The regular lemon is the one most commonly used in making lemon bars and cheesecakes, flavoring chicken dishes, and in glazing cakes and cookies. Appearance: Compared to the Meyer, regular lemons are larger in size, with thick, textured, bright, sunny skin, and medium yellow pulp. Taste: There's a reason most of us don't eat them out of hand — regular lemons are highly acidic. They're moderately sweet, but known for a tang that will make your mouth pucker. Availability: While there are certain times of year that trees will bear more fruit, regular lemons know no season. You'll find them readily available in the produce section all year long. Meyer lemons, on the other hand, are a cross between a regular lemon and a mandarin orange. And that's what really sets them apart. Appearance: Meyer lemons are usually smaller and more round than regular lemons, with smoother, thin, deep yellow to orange skin, and dark yellow pulp. The differences are very distinct, especially when you see both varieties side by side. Taste: While they're moderately acidic, Meyer lemons don't have the same tang as regular lemons. They're much sweeter — so much so that the raw segments are often added to salads or desserts. Their rinds also have a more complex scent than regular lemons — a spicy bergamot fragrance that tastes and smells more like an herb or a spice. Availability: While regular lemons are available year ‘round, Meyer lemons are seasonal. Your best bet for finding them is from December through May. I’ll close this lemon tutorial with some great information and a recipe I found in my May, 2016 Bon Apetit magazine. There’s something even better than zest. 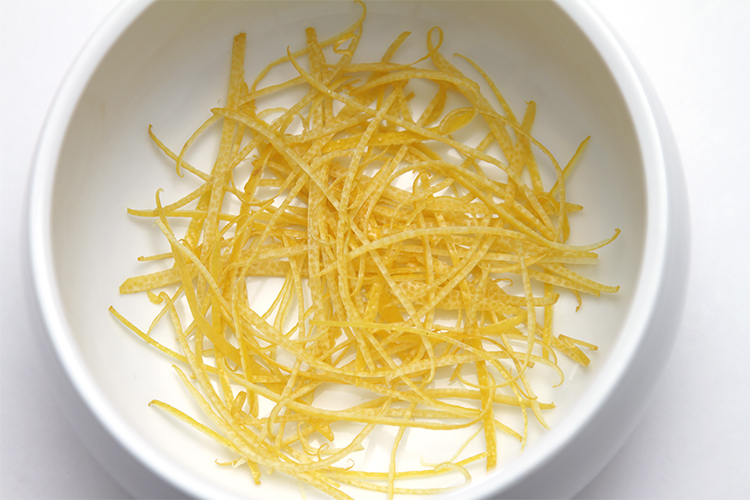 It’s long, super-thin slivers of lemon peel—they add massive flavor and texture to dishes (and they look cool, too). 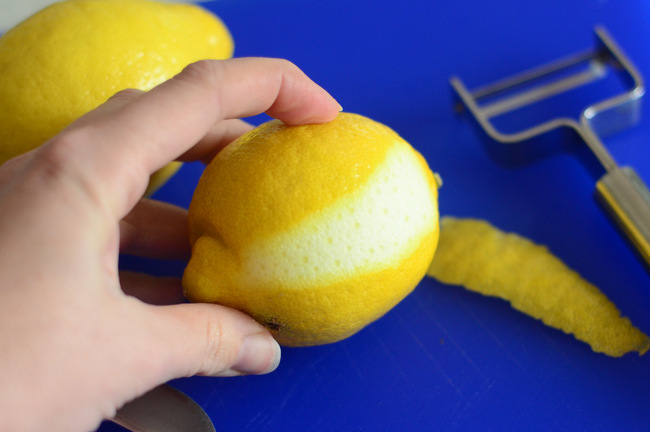 Using vegetable peeler, remove peel in long strips from lemon; julienne peel. Cut some strips to 1/2-inch lengths, mince others. Transfer to small bowl. 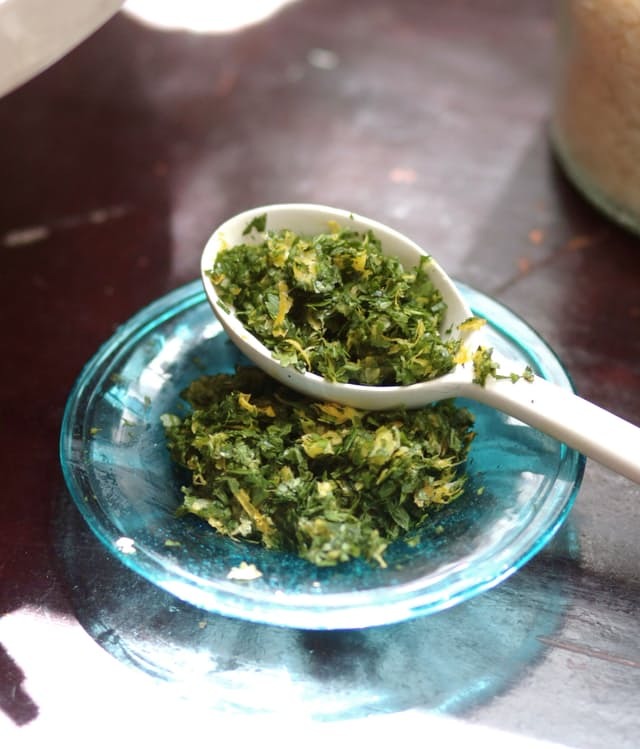 Mix in parsley and garlic. (Can be made 6 hours ahead. Cover and refrigerate.) This is delicious spooned over roasted meat, poultry, and seafood.